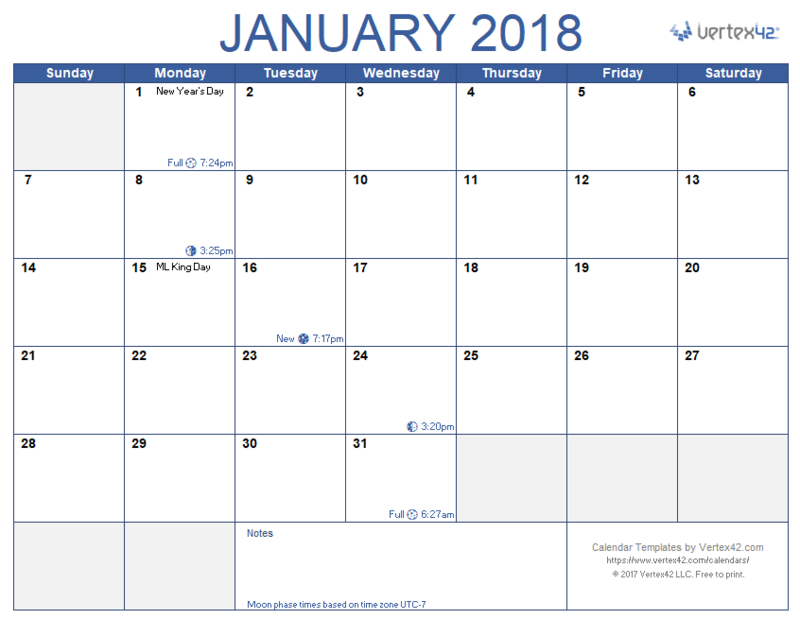 This calendar template is based on our original monthly calendar for Excel. 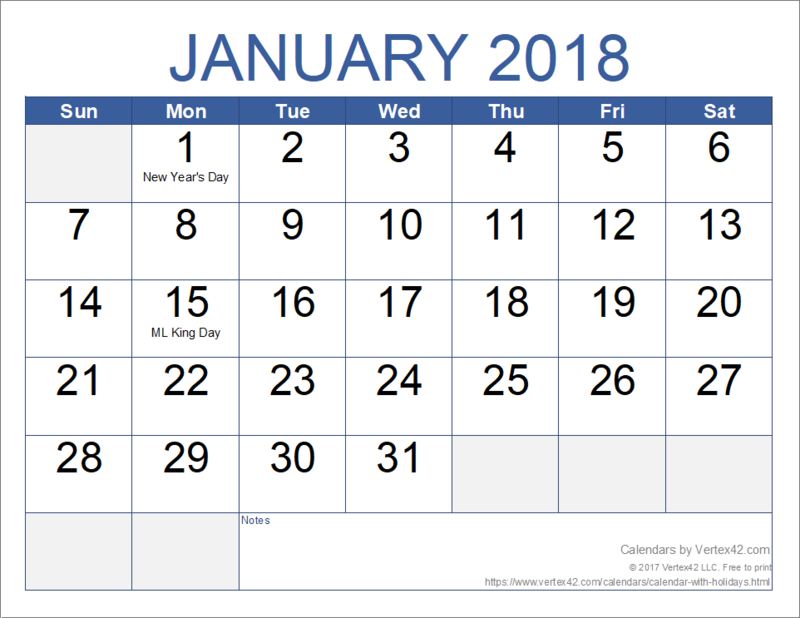 This version includes common U.S. holidays and observances that show up in the calendar automatically when you select a year and start month. You can also enter your own set of birthdays and anniversaries to create a perpetual calendar that you can use year after year. This template was designed to replace the Perpetual Calendar template. Unlike the perpetual calendar, which allows only up 2 events per day to be displayed in the monthly calendars, this template allows up to 6 per day. The technique used to list events is the same as that used in our new Personal Planner template. All of the cells in the calendar contain formulas, however, you can still manually edit the calendar to list events, highlight cells, merge cells across multiple days, etc. When you manually enter text, you will be overwriting the formulas within the calendar, but that is okay. 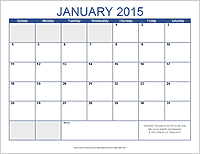 However, after you manually edit the calendars, you shouldn't change the year or start month. Save a backup copy of the template prior to customizing the calendar so that can start again the following year with all the formulas intact. You can enter descriptions and dates the simple way by just typing them into the list in the Events worksheet. Or, you can use formulas similar to those used for the holidays so that your list of birthday and anniversaries will automatically update when you change the year. Follow the instructions at the top of the Events worksheet when adding your own events. Note: Some of the formulas used for holidays and observances in this spreadsheet (such as Chinese New Year) are based on a list of known future dates, up through 2030. You could try to update these formulas yourself, or return here in the future when I update the template. Update 12/29/2015: I've updated the spreadsheet to be compatible with OpenOffice Calc and Excel 2007. Update 1/6/2017: I added a few UK holidays (bank holidays and Easter Monday). Remember, you can delete the holidays from the list that you don't want to see listed in the calendar. This new version includes the four major Moon phases along with the times that they occur (for 2017-2030). See the "Moon" worksheet in the file for details and references. This version was designed for people with some visual impairment. The fonts are all larger, especially the days of the month. 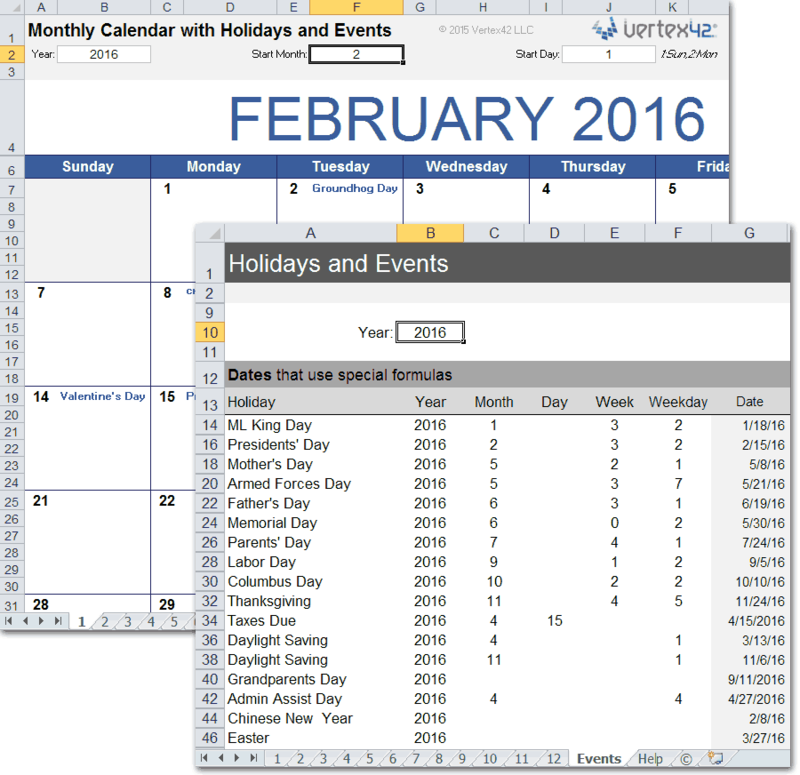 It still allows you to list up to two holidays or events per day.